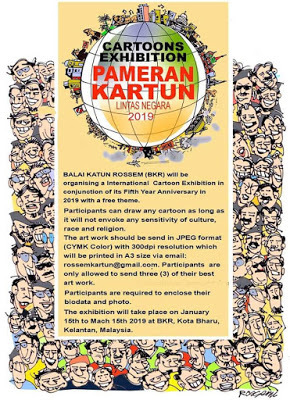 Balai Katun Rossem (BKR) will be organising a International Cartoon Exhibition in conjunction of its Fifth Year Anniversary in 2019 with a free theme. Participants can draw any cartoon as long as it will not envoke any sensitivity of culture, race and religion. Participants are only allowed to send three (3) of their best art work. Participants are required to enclose their biodata and photo. 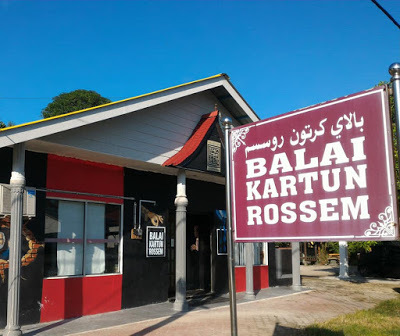 The exhibition will take place on January 15th to March 15th 2019 at BKR, Kota Bharu, Kelantan, Malaysia.